Christian bikers in ministry, like Bikers for Christ, say they are frequently detained and questioned by cops who want to see if they have information about bikers obtained while engaging in their ministry. 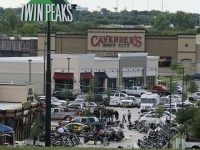 The Twin Peaks biker indictments and arrests in Waco, Texas, brought attention to the profiling, as well as the harassment of motorcycle riders in America. Among these bikers are independents who do not belong to any particular organization, as well as those who wear patches and are members of biker and motorcycle clubs, Christian and Veteran bikers, and others. Criminal defense lawyers in Texas took no time to condemn the “Cookie cutter indictments following cookie cutter arrest warrants” for 106 bikers in Waco this week. 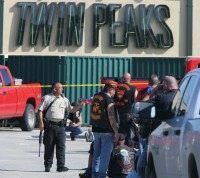 A McLennan County, Texas, grand jury took just nine hours to indict all 106 Twin Peaks biker cases presented to them during a nine hour session with prosecutors. 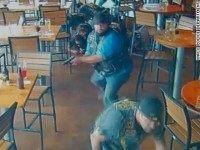 The 106 bikers have been indicted for the crime of engaging in organized criminal activity. The national administrator for the 2 Million Bikers to DC Facebook page issued a press release saying that the meeting on May 17th at the Twin Peaks restaurant gathered with no criminal intent. He includes in the letter what he calls the agenda for the meeting that day.